In the midst of festival season, you realise just how many music festivals there are now worldwide, and how many cater to a diversified audience. Where did all these music festivals come from? Back in the day, they were more comparable to the local village fete than they were to the grandiose scale of behemoths like Glastonbury and Tomorrowland, and only really became prominent within the mainstream consciousness throughout the latter part of the past century due to the burgeoning countercultural movement. The more that music festivals piqued people's interest meant more music festivals were founded. Ergo, this meant more artists were performing, and a tremendous number of these performances etched into our heart and minds, and into the history books. Being somewhat of an authority on music festivals (it's what we do, funnily enough), our lot at Festicket are collating a series of our favourite festival performances from decade to decade. Where to start? The 60s, of course. Where else could we begin? Bob Dylan had established himself as the golden-boy of folk and Americana in the early 60s with his politicised songwriting, and this significant performance where he controversially switched to the 'dreaded' electric guitar elicited outcry amongst the folk community, with Dylan brandished a defector to the modern electric trend. No one expected that Dylan would spontaneously challenge the festival by playing with a fully amplified backing band, and the reaction was mixed with boos from the crowd during the performance. History tells us that it was a brave and warranted decision, and remains a cornerstone in the evolution of contemporary music and music festivals. Throughout 1967, Jimi Hendrix had astounded the UK music press and left crowds in awe with his outlandish stage presence and eccentric appearance, not to mention his revolutionary guitar-playing ability. It wasn't until his performance at Monterey Pop Festival which commenced what we know now as the 'Summer Of Love' that America truly took notice of his mercurial talent. Hendrix ignited his Fender Stratocaster both metaphorically and literally, blazing through feedback-soaked renditions of 'Purple Haze' and 'Foxy Lady' before slamming his guitar to the floor and setting it alight. 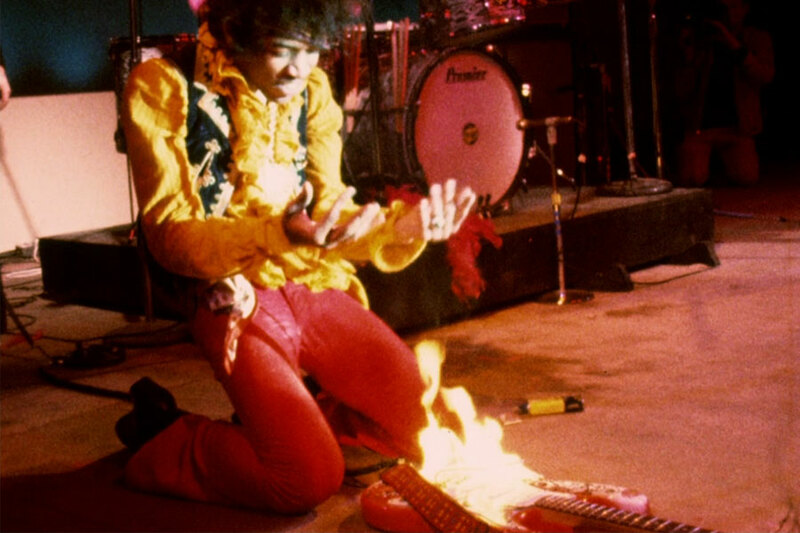 Knelt alongside his flaming guitar, Jimi Hendrix had conjured a historic performance. Another momentous performance from the same festival was from budding songstress Janis Joplin who appeared with Big Brother and the Holding Company. Joplin stole the limelight with one of her earliest public appearances. Her powerfully gut-wrenching voice and earnest performance were indicative of the way she wore her heart on her sleeve, a trait that would later harm her personal life in subsequent years. Equally tragic and inspiring, an icon was made of Janis Joplin at Monterey Pop Festival and her unique talent still confounds listeners to this day. 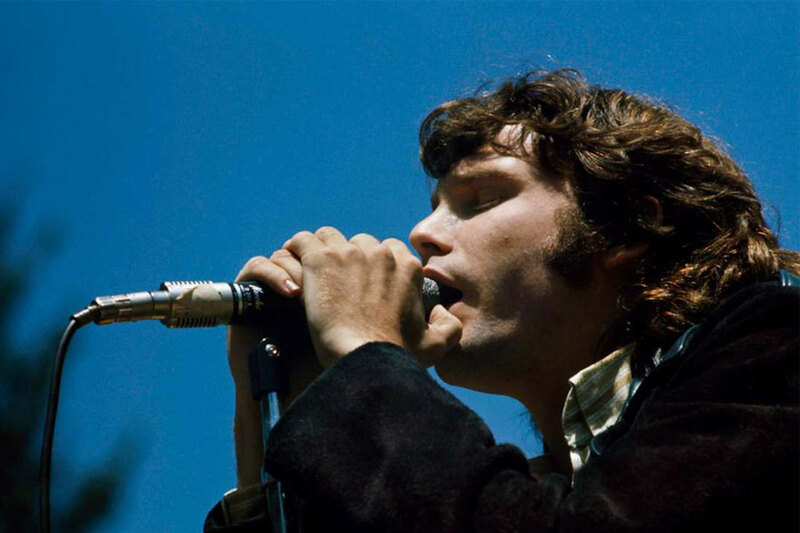 The 'Summer of Love' went hand in hand with the birth of what we familiarly know as a music festival, and with a lineup comprising of Canned Heat, Dionne Warwick, and The Byrds, it was The Doors (notably vocalist Jim Morrison) that audiences swiftly fell in love with at the exhaustingly named Fantasy Fair and Magic Mountain Music Festival in California. Their first appearance since the release of impassioned single 'Light My Fire' helped propel the track to the top of the singles charts, and with a helping hand from Morrison's brooding good-looks, sultry baritone voice, and mysterious lyrical themes, The Doors became one of the most popular yet controversial acts of the 1960s. Even though Cream were only together as a band for two years, their lasting legacy within popular music is emphatic. With Jimi Hendrix on the same bill at Barbeque '67, you'd think Eric Clapton of Cream (pictured below, on the right) would be overshadowed by the exciting new guitar virtuoso. Think again. 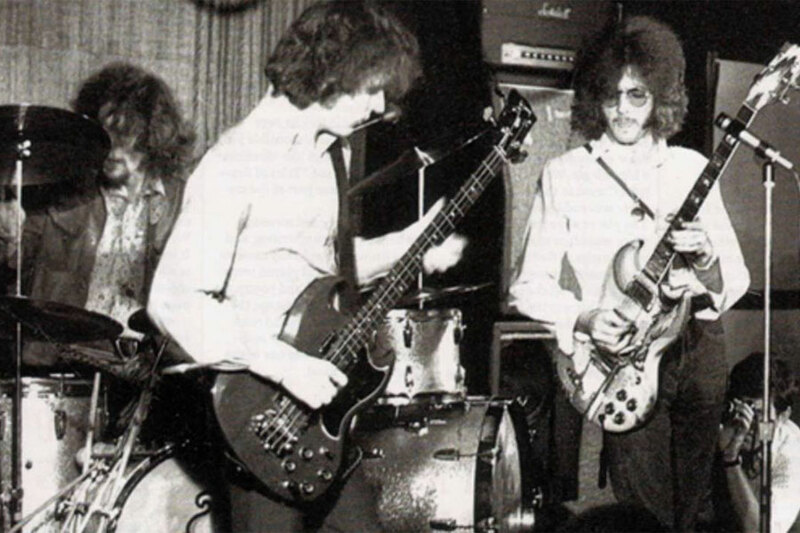 Debuting standout track 'Sunshine of Your Love', the sweat-drenched crowd at the Tulip Bulb Auction Hall in Lincolnshire went wild for Clapton's fretwork on his renowned psychedelic patterned Gibson SG. Decked out in exuberant clothing as well as a perm (fashionable at the time we presume), Eric Clapton looked every part the icon, which was fitting for such an iconic performance. The first incarnation of the Isle of Wight Festival took place in 1968 and is widely considered to be the first outdoor music festival of its kind within the UK. With San Franciscan darlings Jefferson Airplane topping the bill of the countercultural event, this was where the legacy of the festival began to which it continues today, seeing over 70,000 revelers attend each year. 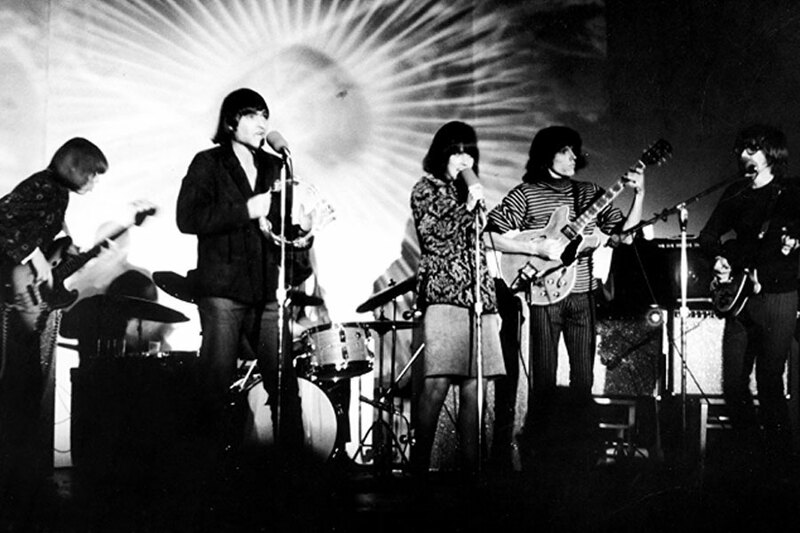 Grace Slick and co brought pioneering psychedelic rock songs 'Somebody To Love', 'Volunteers', and 'White Rabbit' to the crowds at Ford Farm, offering a taste of the Californian coast which British audiences were soon to be swept up in. In 1969, The Rolling Stones were the most notorious band in the world. Hounded by the press, feared by the conservative general public, but utterly adored by the countercultural youth even though they hadn't performed live in nearly three years. The free festival was initially billed as an introduction for a new era with Mick Taylor, the young prodigy who would replace founding-member Brian Jones on lead guitar. 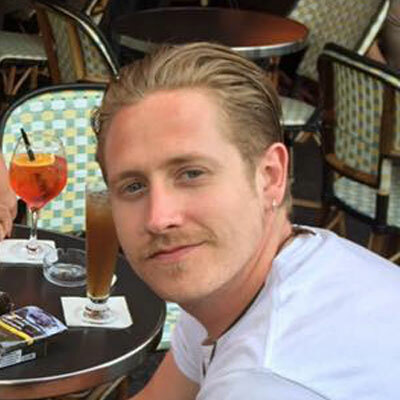 In tragic circumstances, however, it ended up being a tribute show of sorts to Jones as he sadly passed away only two days before they were due to appear at Hyde Park. Battling through the loss of their departed friend, Mick Jagger lead the way, electrifying the audience of approximately 250,000 people with rousing renditions of 'Sympathy For The Devil', 'Honky Tonk Woman', and 'Satisfaction'. The future looked bright for The Rolling Stones, as they were yet to reach the fruitful heights of Exile On Main Street and Goats Head Soup, and in just one performance they both eulogised the loss of Brian Jones and opened up a new chapter. I mean, you didn't think we'd miss out any of the Woodstock performances surely? In the final year of the 1960s, Woodstock was a culmination of the countercultural movement both socially and artistically, billed as "3 Days of Peace & Music". An estimated half a million people descended on the town of Woodstock for what was to be a pivotal moment in popular music history and changed the notion of what we consider music festivals to be. Playing to the hordes of hippies were The Who, who firmly removed the shackles of their 'Mod' beginnings and became bonafide rock Gods in the USA. No matter which generation 'My Generation' is performed to, it is always relevant, and it was none more relevant than at the apex of the countercultural movement courtesy of a jammed-out extended outro. Another Woodstock performance on the list from Sly And The Family Stone, and the mixed-race, mixed-gendered outfit wholly encapsulated the idealism of the late 60s. Luckily their music was just as remarkable as the make-up of the band and led by Sly Stone, their timeless brand of psychedelic soul and funk became one of the most uplifting performances of the festival, belting out hits 'Everyday People' and 'I Want To Take You Higher' and energising the once-weary crowd at 03:00 am. After the landmark performance, Sly And The Family Stone were regarded as a critical band in the development of and incorporation of social commentary in contemporary music. Ok, final Woodstock performance, we promise. But, how could you not include Jimi Hendrix's iconic rendition of the U.S. national anthem 'Star Spangled Banner'? Now synonymous with the 60s zeitgeist, the performance of the national anthem was symbolic of the youth of America embracing their heritage, becoming the moment of unification in the young, old, black, white, underground, and mainstream. Ironically, given that nearly half a million people experienced Woodstock in the flesh, only an estimated 30,000 people stayed for Hendrix's headlining set which took place at 08:30 am on Monday morning due to excessive rain delays. Regardless, it is a timeless performance from an artist that embodied the countercultural movement and was the quintessential festival performance of the 60s.